As of now, there are various music streaming services for iPhone are available. 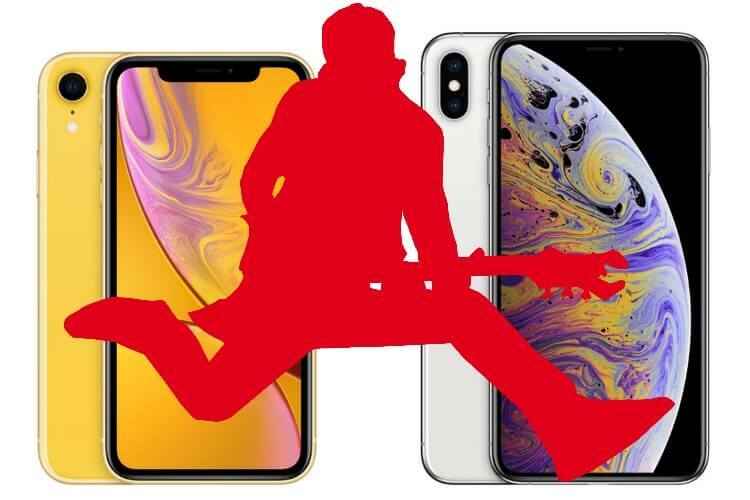 This is what creates difficulties while selecting the best music apps for iPhone XS Max, iPhone XS, and iPhone XR. Most of the users are in chaos which is worthy and which is garbage. Few music apps will allow you to play songs without paying single buck whereas some will charge you to use their Music Streaming Service on iPhone. The major factor that you should keep in mind while selecting the Music Streaming app is how much content is available on it. If the required songs are not available then buying a subscription is just a waste of money. In the past two years, Apple Music has earned a lot many subscribers that anyone never expected. Besides, you can get as much as songs from Apple Music as their stock of music regularly updates to meet the requirements of subscribers. So if you are deeply connected with Apple and its product then Apple Music should be your good choice. Alongside you can also use play Apple Music on Mac or iPad by just purchasing a subscription of $9.99/mo or go for a family plan which will cost you $14.99/mo. Spotify is another third-party largest music streaming service that you will ever find. If you don’t want to use Apple Music then Spotify delivers a bunch of useful features right in your pocket. In addition, you can download songs offline and play whenever without the need for data connection. Another plus point of Spotify is that if you don’t want to buy a subscription then also it allows you to stream music right on your iPhone XS Max, iPhone XS, and iPhone XR. Or simply pay $9.99/mo for an individual plan and for family plan pay $14.99/mo. Since Google apps are mostly used by Android devices, you might not aware of Google Play Music. Apart from other music streaming services for iPhone XS Max/XS/XR, Google Play Music works great and adopted by millions of people across the world. With Google Play Music library you can access and play over 30 million songs on your iPhone. If you go premium for Google Play Music then you can also access ad-free content on YouTube Red, which is similar to any other music streaming service. To enjoy Amazon Prime Music on your iPhone, all you need to take Amazon Prime membership which will cost you similar to other music streaming service. Additionally, you can enjoy fast and free delivery on Amazon orders. Ultimately Amazon Prime Music will save you a lot of money along with better services together with millions of songs on your iPhone. The plan will cost you between $7.99/mo to $14.99/mo. You might have heard this name for the first time, but believe me, the subscribers of TIDAL are increasing gradually. TIDAL is only music streaming service for iPhone that provides Video content too along with curated playlist by stars. If you love hip-hop, soul, and R&B then TIDAL will make your day with all your favorite songs. The subscription begins from $4.99/mo to $29.99/mo, which is quite normal when it comes to pure sound. However, various options are available if you are interested to buy a subscription of TIDAL, pay $9.99/mo for only mp3 songs and upgrade if you want CD-quality songs. Pandora music allows you to create personalized music stations, you can also skip songs if you don’t like them, and most importantly you can play songs offline once you download on iPhone. There are three different subscription plans are available like to buy Pandora Plus, pay $4.99/mo, Pandora Premium will charge you $9.99/mo and lastly, the Family plan will cost you $14.99/mo. And don’t want to waste money on Pandora Music then don’t worry you can play songs but you will have to suffer ads while playing songs. Above all are the free music apps for iPhone XS max, iPhone XS and iPhone XR mobile. Quickly Search Music in a big screen in easy ways from the pre-ready Music playlist based on location in World-Wide.